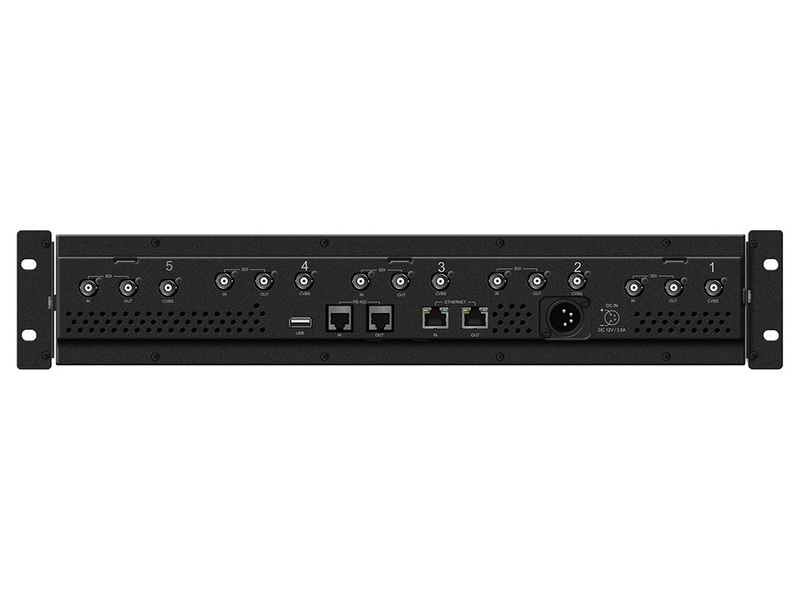 Size 4" 5" 7" 9" 17" 18" 21" 23" 24" 31" 32" 42" 46" 47" 55"
Displays the level of the embedded sound signal together with the video signal input through the terminal such as SDI or HDMI. Red and Green channels are not used and only Blue or Monochrome channel is used to display the screen. This function is used to adjust the color tones (tones and saturation) of the screen using the SMPTE Color Bar. For example, after displaying the Blue channel, adjust the Color (or Saturation) and Tint (or Hue) so that the original Magenta and Cyan are of the same brightness, and the original Gray and Blue are of the same brightness. Assigns a color to the pixels on the boundaries of the image to inform the user to achieve the best focus. With this function, user can easily differentiate the focused area from out-focused area especially when shooting with a shallow depth of field. Allows you to check the Blanking area and synchronize signals by displaying the horizontal and vertical intervals in the center of the screen. Locks the knob or key control. Displays the Luma(Y’) level of the input image in colors. Each pixel’s Y’ analyzed and changed to a certain color or zebra pattern according to the Index on the right side of the screen. 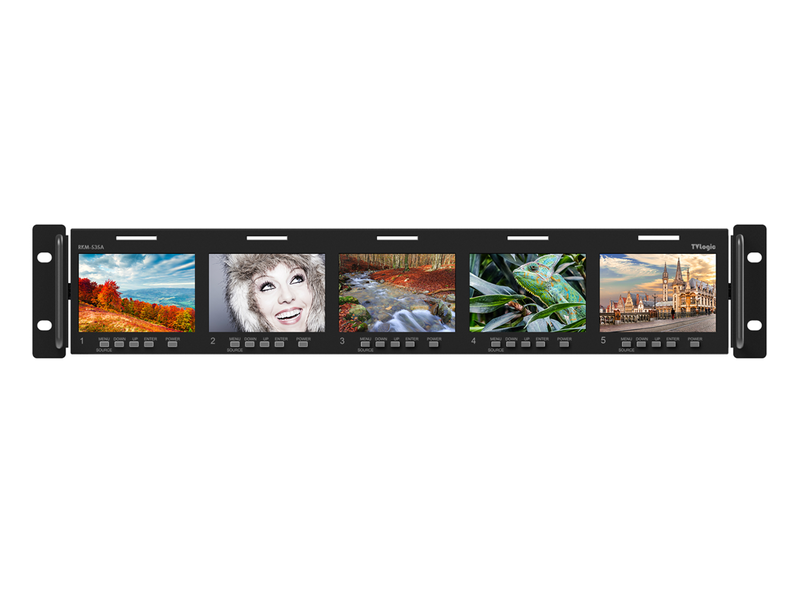 Displays various kinds of aspect ratios on the screen. 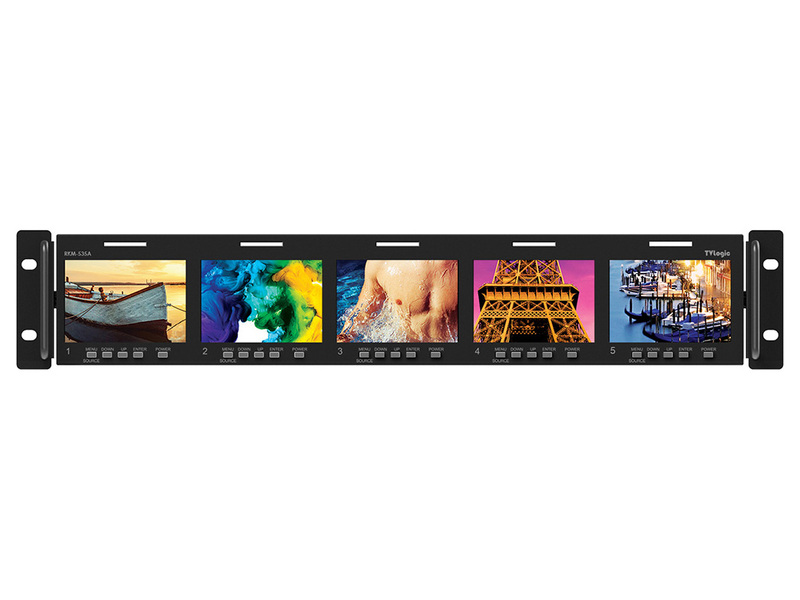 Wide range of markers and security areas are available with line color and curtain transparency selection. A User Marker is available if any of standard markers fits your requirements. Anahlyzes the input signal’s Luma(Y’) and chroma information(C’) and if the input signal exceeds the designated minimum value and maximum value, the pixel shall blink. This function is to help the user to easily find out any unwanted levels of signals and for a better exposure setting. Displays the Timecode information on the screen. Adjusts the Width /Height display ratio. Controls the size of the image. Overscan: Extra area around the four edges of the image that may not be seen reliably by the viewer. Underscan: Constrains the size of the image so the monitor shows everything the camera is seeing. 1:1 pixel: Displays the original image resolution without scaling to match a certain resolution or an aspect ratio. Waveform Y: Displays the Luma(Y’), Cb, Cr component of the input signal into waveform. Vector Scope: Displays the color components ‘B-Y’ and ‘R-Y’of the input signals onto the X-Y axis. Magnifies the input signal from 0% to 90%. 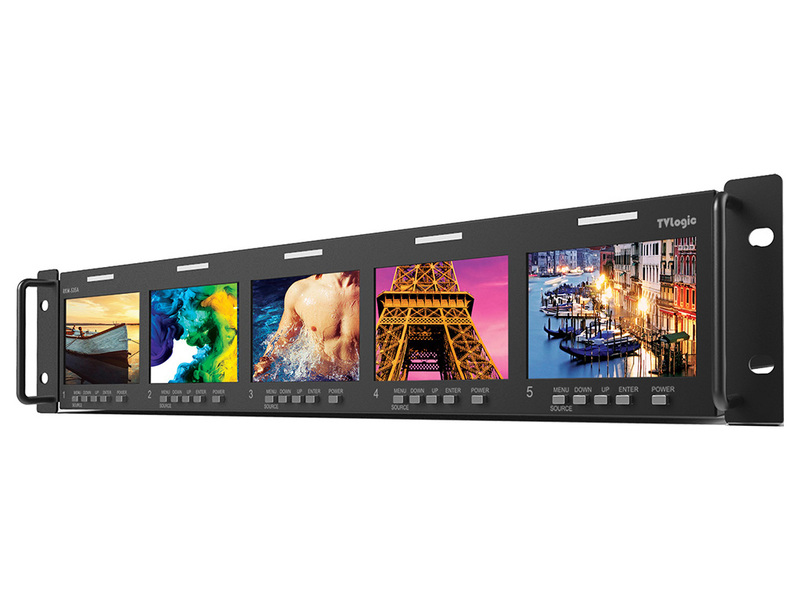 Supports 3G-SDI Level A/B input. Displays user customized 8 characters or source ID or Tally signal of Ancillary (ANC) data on the screen. 신제품 RMK-535A는 랙 전용 모니터로 5개의 3.5인치 화면으로 구성되어 있습니다. RMK-535A는 컴팩트한 2RU 사이즈 제품으로 960x640(3:2)의 고해상도와 넓은 시야각을 가진 패널을 사용하여 동급 최고의 화질을 제공하며 DSI 입출력과 다양한 비디오 신호 포맷을 지원합니다. 이외에도, Focus Assist, Scan, Marker, Audio Level Meter, 스피커, Time code Display, Waveform, Vectorscope와 같은 전문가용 고급 기능을 제공합니다.